Texas is fertile ground for debate on women’s health issues, as the national attention on state Sen. Wendy Davis’s filibuster of a controversial, omnibus abortion regulation bill last month revealed. 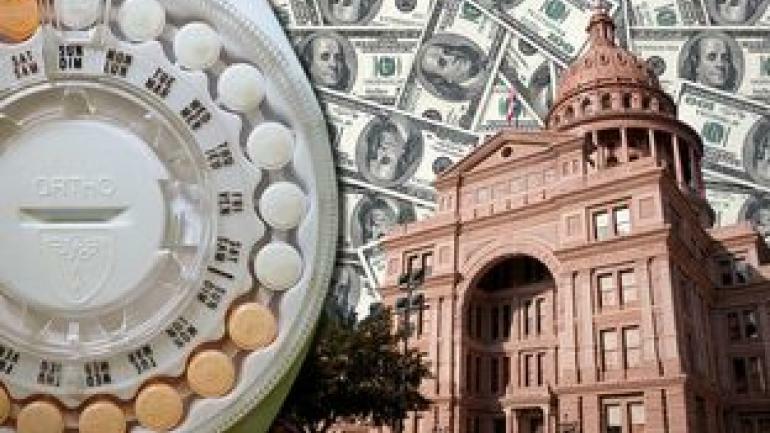 Despite the national perception of a “War on Women,” most Texas politicians support family planning programs, because they recognize providing contraception and health services for impoverished women prevents hundreds of millions of taxpayer dollars worth of unexpected pregnancies each year. Still, the majority of the Texas Legislature opposes abortion — specifically, Planned Parenthood — and has made great strides in recent years to oust family planning clinics affiliated with abortion providers from state programs. Those decisions have had far reaching consequences, and now, the state is relying on new financing streams to rebuild its network of women’s health services. In the 2011 legislative session, Texas’ Republican leadership — bolstered by an election season that swept a fleet of Tea Party candidates into office — had Planned Parenthood in its crosshairs. To prevent any state financing from reaching the organization, the Legislature cut funding for family-planning services by more than two-thirds, from $111 million to $37.9 million, and set up a tiered funding system, so that comprehensive and primary care clinics would receive money before family planning clinics such as Planned Parenthood. Lawmakers also directed the state’s health department to oust Planned Parenthood from the Medicaid Women’s Health Program, a joint federal-state program that provided contraception, cancer screenings and well woman exams for more than 140,000 poor Texas women annually. At the time, Planned Parenthood provided 40 percent of the program’s services. Those legislative decisions decimated the state’s network of family planning providers. Nearly half of the state’s 288 family planning clinics stopped receiving public financing in 2012 and 56 clinics closed. Researchers at the University of Texas at Austin who are studying the impact of the cuts estimate Texas’ investment in family planning services saved $163 million less in 2012 than in 2010. The state estimates an additional 24,000 babies will be born in the next two years, most of whom will be enrolled in the state’s Medicaid program. In response to the state’s actions, the federal government stopped financing the Women’s Health Program, which provided millions of dollars to the state every year due to the program’s $9 to $1 funding match. The Obama administration also refused to renew the state’s contract to distribute the federal government’s Title X family planning money, and instead contracted with the Texas Women’s Health Coalition, a group of family planning providers that includes Planned Parenthood, to distribute the money. Now, two different partisan coalitions are fighting to restore what was lost. While the Texas Women’s Health Coalition seeks to rebuild the state’s network of family planning clinics, the Legislature has launched the Texas Women’s Health Program, a state-funded version of the Medicaid Women’s Health Program, and has earmarked an extra $100 million for women’s health services through a primary care program. That extra $100 million will be used to provide women of all ages with family planning series, as well as treatment for diabetes, heart disease, obesity and other primary care needs. In addition to these changes, the state is on track to approve drastically tighter restrictions on abortions procedures, providers and facilities. Those changes would require all abortions — even drug-induced abortions — to be performed in ambulatory surgical centers. Only six of the state’s existing 42 facilities that perform abortion meet those standards. If those clinics are required to make costly renovations in order to meet surgical facility standards, opponents of the regulations argue many clinics would close and no longer be able to provide other family planning services. It’s still unclear what the overall impact of these changes will be, such as how many unintended pregnancies will be averted and how the programs will impact the state’s budget. And it’s unclear whether these programs will be sufficient to rebuild the state’s network of family planning providers. As a 2013 National Health Journalism Fellow, I plan to investigate and compare the impact of these various women's health programs across Texas. Ultimately, what happens in Texas could directly affect national policy trends. While the Legislature’s bold decisions to forgo federal financing and set up state programs that more closely align with conservative values could become a model for other Republican states, those decisions could also prove disastrous for low-income women, particularly those in rural areas, attempting to access health services. Correction: The federal Title X funds were awarded, after a highly competitive grant application process, to the Women's Health and Family Planning Association of Texas - a non-partisan, not-for-profit, organization that has served Texas since 1977.